Microsoft today announced an update to its Outlook email app for iOS that should ease the process of scheduling group meetings. 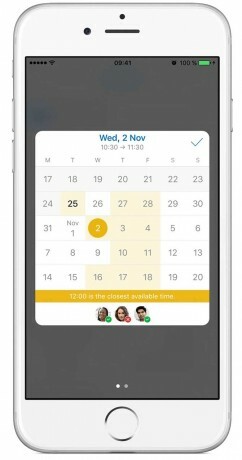 A new scheduling assistant built into the app makes it possible to see coworkers' availability when booking new meetings. Users will first need to create an event and set invitees. Outlook will then use color-coded effects to show when invitees are free. Users can drag the time picker around the calendar until it turns green, which signals when all the invitees are available. A few more taps sets the event and sends invites to the other participants. The new tool requires a connection to Office 365 or the latest version of Exchange. Microsoft said this feature will be available to Android and Windows 10 Mobile devices soon. Outlook is free to download from the iTunes App Store.